Smart paint and smarter pedestrians: The Ohio State School for the Blind is implementing a paint invention that allows the visually impaired to cross streets more safely. “Smart paint” is being applied to the edges of crosswalks and is made with elements that cause “smart canes,” a walking cane used by the visually impaired, to vibrate when it comes in contact with the paint on the sidewalk. The vibration from the cane allows the pedestrian to remain inside the crosswalk lines while crossing the street, so they don’t veer into traffic. Mary Ball-Swartwout, orientation and mobility specialist at the School for the Blind, said in a statement that the school and its students are excited to give feedback on the products, as input is not often received from those with disabilities who end up being the users of items geared toward that population. Lannutti, who is leading a team on this project, also has plans for smart paint to further assist pedestrians with GPS. For example, a GPS app that interacts with smart paint at various locations could help notify pedestrians when they’ve arrived at a bus stop. 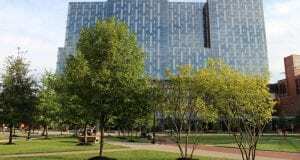 Lannutti has been working with Intelligent Materials, Crown Technologies and the city of Columbus on the project. Intelligent Materials is responsible for manufacturing the additive that makes the paint “smart” and is working on a smart cane sensor that can attach to any cane. Crown Technologies is responsible for actually adding the element to the paint. 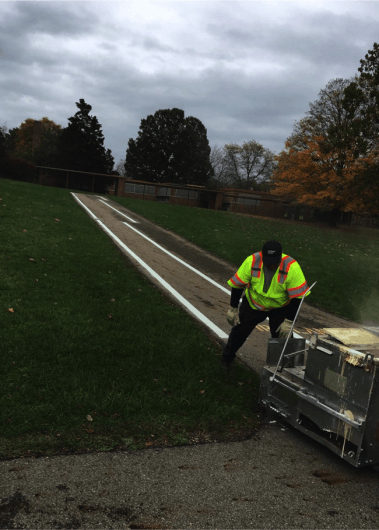 Lannutti said the cost of the smart paint is 20 percent more than regular road paint, so it is considered an affordable option when it comes to implementing the smart paint in more locations. The impact of smart paint is spreading to states such as Delaware and Florida, while testing has continued on the School for the Blind campus. Students have been testing out the smart cane technology on the crosswalks.